Old gods die hard. Professional necromancer Lazarus Kerrigan knows all too well that the Big Easy is anything but. Crime is up, business is down, and someone--or something--crushed an innocent girl to death on his doorstep. After the search for the murderer brings the police to his front door, Laz must prove his innocence by hauling in the real killer with help from the dead. 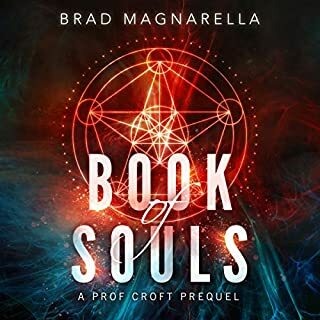 When the sun sets in New Orleans, more than monsters go bump in the night... And what Laz awakens in his quest for answers might just get him--and everyone else in town--killed. The beast came at night. Murdered the cop in his home. Tore his Rottweilers to pieces. And it's only the latest in a series of gruesome attacks. Overwhelmed, Houston PD is at a loss. But shape-shifter Michael Biörn isn't. Michael discerns the secret nature of the killer; a werewolf's handiwork is unmistakable. Werewolves move in packs, however. And the local pack is 40 members strong. But a young woman's life is at stake. And so, after centuries spent avoiding the wolves, Michael abandons his retreat to confront his ancestral enemies. Clint Mercer is about to get a crash course in magic. 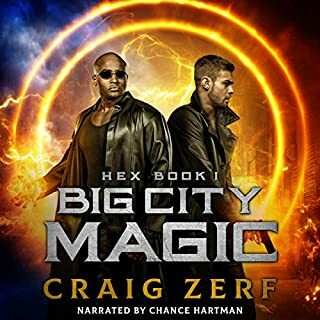 After he barely survives an attack on the hospital where he works, Clint is quickly recruited by the brilliant but often unstable wizard Arlo Dandridge. 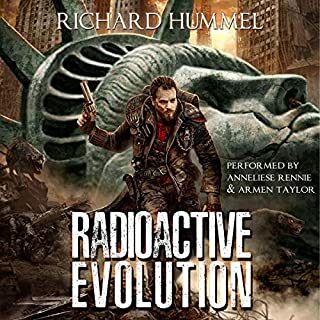 Working on behalf of the mysterious Pickman Institute, the two men soon find themselves in a race to recover an ancient relic of deadly power before a centuries-old warlock and his cult of militant followers can beat them to it. With the lives of an entire city on the line, failure is not an option. 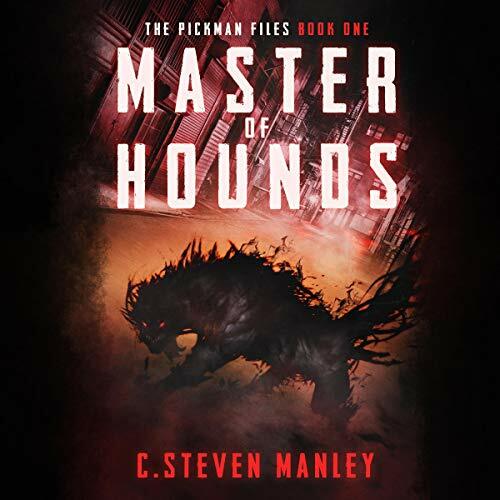 Master of Hounds is the first audiobook in the Pickman Files series, a dark urban fantasy filled with magic, monsters, secret societies, and dark conspiracies. Get yours now and keep the hounds at bay! This starts out slowly but once it got going, ended up thoroughly enjoying it. The plot was intriguing and well explained. I didn't find myself disbelieving anything!! We are brought into the story with a battle where Arlo gets injured, then it moves to a hospital where we meet Clint, who thinks this will just be another normal day at the hospital, but boy is he wrong!! He is drawn into a world he never knew existed, and now can't leave because he's been marked. We also get to meet The Favoured of The Mother, the congregants and followers of The Mother who are very intriguing!! The plot is well written and developed and I can't wait to find out more because I still have questions. I also loved the characters. Arlo is really intriguing and I'm looking forward to getting to know him better in future books. Clint was well written too and very likable. I loved how long it took for him to truly believe in magic. Despite what he sees, he still finds it hard to grasp, which rang through. All of the characters, including the bad guys, were well written and developed. In all, a good solid start to what looks to be an awesome series. James Foster is one of the best out there. He is so easy to listen to, has very distinct character tones and voices, and always gives a brilliant performance. I highly recommend this narrator. Magic is real and we are not the other plain of existence. Sometimes things get through into our world and they are far more powerful than any of us. Clint learns this the hard way before he and his life is forever changed. I enjoyed the C. Steven Manly created believable and flawed human beings that do the best they can against what seems to be more and more impossible odds. James Anderson Foster does a superb job of not only narrating but also voice acting the book. I had a lot of fun listening to this book. I received this book for free. I am voluntarily leaving this review and all opinions expressed herein are mine. This is the first book in The Pickman Files series. It is a standalone story but does set up the next book in the series. Here, Clint works as a nurse in an ER. One day, a patient is brought in by individuals who seem to be law enforcement and the patient suffering from severe life-threatening wounds. Clint is told to provide blood to the patient - does not matter the type, just blood. Shortly after Clint starts to treat the patient, the hospital is attacked. Clint has to move and safeguard his patient. As he tries to get the patient to safety, he is confronted by a supernatural being and suffers what should have been a death blow, but Clint survives. He is then recruited to join the Pickman Institute. Although Clint has seen magic and supernatural events, he is still skeptical. This is a very good action-packed start to the series. I was hooked on the story immediately. The story was unique with very good character development. I really liked Clint's questioning what he sees and the magic world of which he has become a part. Arlo is a wonderful humorous "mentor" and colleague to Clint. 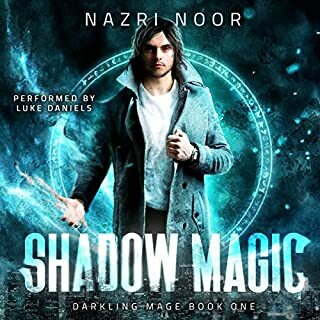 I listened to this book - the narrator was a perfect compliment to this series. Clint Mercer is a former military medic who has settled down as a nurse in the ER. When the hospital is attacked by monsters, Clint finds himself drawn into a world he never imagined existed and soon, he and Arlo, a cantankerous user of magic, must put it all on the line to save the world from the Master of Hounds. Foster's narration of this book was very good. I enjoyed his character voices and at no point did anything he say or do pull me out of the story. 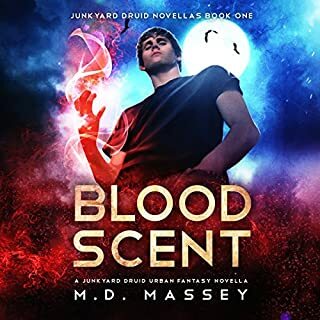 I would recommend this to anyone who likes urban fantasy and I plan to check out other titles in this series. I was given this free review copy audiobook at my request and have voluntarily left this honest review. Wow! That was an unexpected rush! Let's get this out of the way first: I received this book for free in exchange for an unbiased review. Scan down and you'll see I'm not shy about giving such books medium to bad reviews. Not going to be an issue today! I listened to this right after listening to The Fellowship to the Rings, so it started off in a bad place following that classic, but it didn't matter at all. My favorite UF series is the Dresden Files and I'm also a big fan of the Iron Druid series. This didn't remind them of me, but it did remind me of a better Monster Hunters International. I like the MFI series, but the main character is too perfect and overly strong compared to most of his fellow hunters. In this case, the protagonist is a former pararescue soldier who is now a RN. He survives a terrifying encounter with a supernatural baddie and gets recruited to join The Pickman (who are somewhat similar to MHI) as they try to stop said baddie. Does he develop some superhuman power? Yes. Is it overpowered? No. He is a believe character in an unbelievable world. Not that the story is unbelievable, just that his own world has magic in it and he's not sure he believes it. Also, the bad guys seemed very real too. Bent by evil magic and getting more bent as the book goes on? Yes, but still with real human emotions (except the one that was probably born a psychopath). This kicks off a fascinating new series, and while it's obviously intended to be a series it contains a complete story. We still don't know much about this world by the end, but I'm looking forward to learning more about The Pickman, their mission and their enemies. Finally, the narrator was outstanding. Several times during the book I was wondering who he was. I've never listened to anything by him before, but I see I own one more he's narrated so that one will more quickly up my que. I knew each character by the voice he gave them, male or female and he read every word with what felt like the correct nuance. He reminded me somewhat of Luke Daniels, another favorite of mine. A new favorite author and narrator in one book? Fantastic! Again, I got this for free, but I have a library of over 600 books, most of them paid for, and this is among the best I've heard, as good as anything written by Jim Butcher. That's as a high a praise as I know how to give! really in joyed the world this book was in, I like the idea of the the monsters you know of existing but in a different way you think about them. I absolutely LOVED this book! I would compare it to Damian Vesik meets Dresden meets Constantine. The world building, the character development and the dialog are all superb. The narration is well done and I truly can't wait for another book in this series. Met my expectations and then a little more too. I am curious to find out more of this world and it's inhabitants, magic and monsters in an urban setting. I did request this book from the publisher and have voluntarily left this review. Good storyline with great action make this a good new series. Narration was really good. Will be waiting for the next one! Clint Mercer, a former air force para-rescuer, has his whole life turned upside down when agents of the Pickman Institute bum rush the hospital emergency room where he works as a nurse. While trying to treat the wounded agents, the emergency room is attacked by an evil mage and his supernatural beasts. Somehow, Clint survives the attack but he is not the same. Weird new abilities manifest that he doesn't understand. The agents of the Pickman Institute, however, do understand. This begins what I feel is a good start to what I can only assume will be a new urban fantasy series. I was not familiar with the author, C. Steven Manley, but I am very familiar with the narrator, James Anderson Foster. He is the reason I gave "Master Of Hounds" a try. 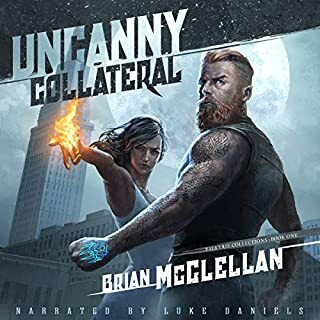 I think Mr. Foster is one of the best narrators in the audiobook industry and I tend to try out urban fantasy stories that he narrates no matter who the author is. While that may not be the smartest way to choose an audiobook, in this case, it worked out just fine. I am glad I chose "Master Of Hounds" and I will be picking up the next book in the series when it becomes available. Finally, this free, review copy audiobook was given to me at my request and I have voluntarily left this review.